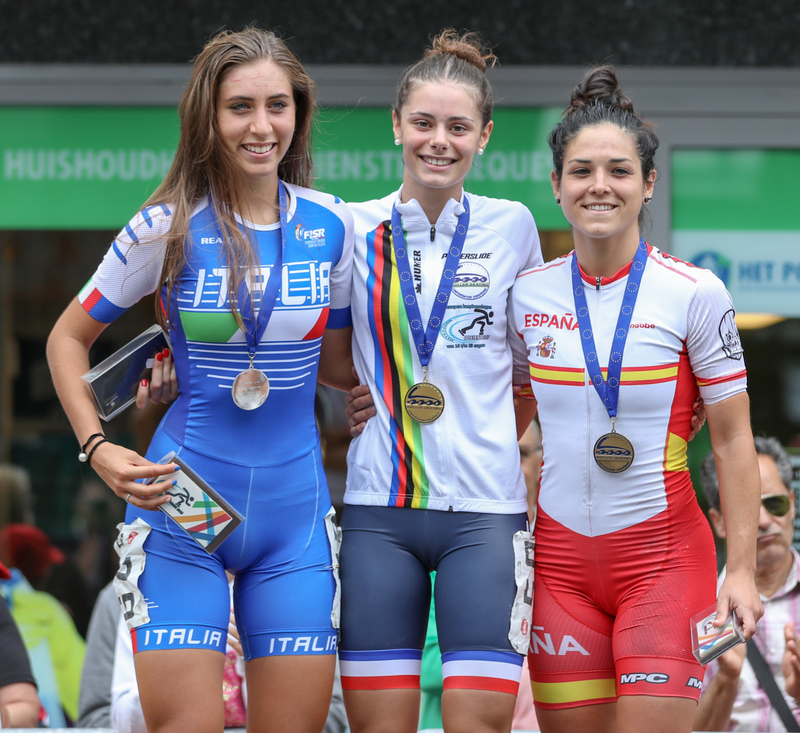 After a long breakaway of two Italians the victory in the marathon at Euros went to Chloé Geoffroy from France. In the last few laps the chasing group caught up with the leaders and only just before the finish line Chloé managed get in front. Most skaters were on 110 mm wheels. Only most of the Germans and Dutch ladies were on 125 mm wheels, because they skate a lot of marathons in their own country. Last July Chloé won the World Inline Cup in Harbin in a sprint before Li Sishan (chi) and Anna Odlazek (slo). In Oostende she showed that this wasn’t a coincidence.